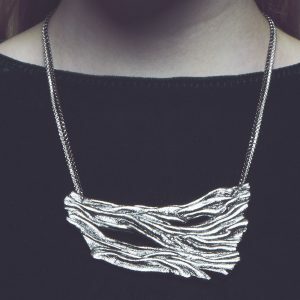 Delicate Handmade Black ring with organic lines, inspired by driftwood, like a branch wrapped around your finger. Black leather lining and metallic structure. 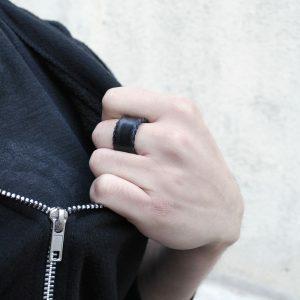 Bague en cuir noir / .BOIS FLOTTÉ. 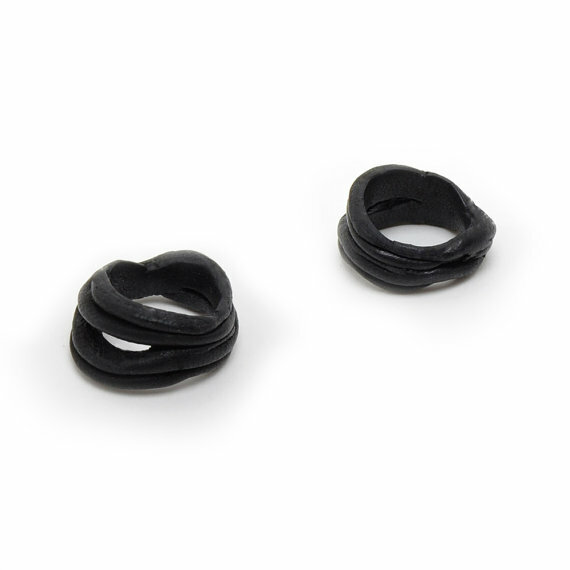 Bague façonnée à la main en cuir noir souple, aux lignes organiques inspirées du bois flotté, comme une branche enroulée autour de votre doigt. Doublure en cuir noir et structure interne en acier. To find your Obso size, wrap a thin piece of paper around your finger and mark the exact mesurement. Then read it precisely next to a ruler and find your Obso size ! If you have any doubt with the sizing or want a special size, contact us ! You can also exchange if the size is not correct. Si vous avez le moindre doute ou pour demander une autre taille, contactez-nous !